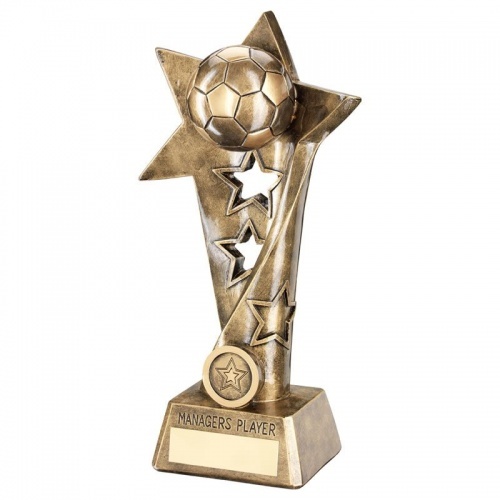 These star motif football trophies are perfect for your Manager's Player awards, such as Manager's Player of the Year. Crafted in resin with a bronze and gold colour finish, they include the legend 'Manager's Player' on the base above a metal engraving plaque. 10.25in (260mm) tall. Offered with text and/or logo engraving options.